11-year old Tomo is left alone when her mother walks out on her. Her uncle, Maki, a kind-hearted man agrees to take her in. On the way to his home he tells Tomo that he has a special lady in his life, something he wanted to tell her before they meet. 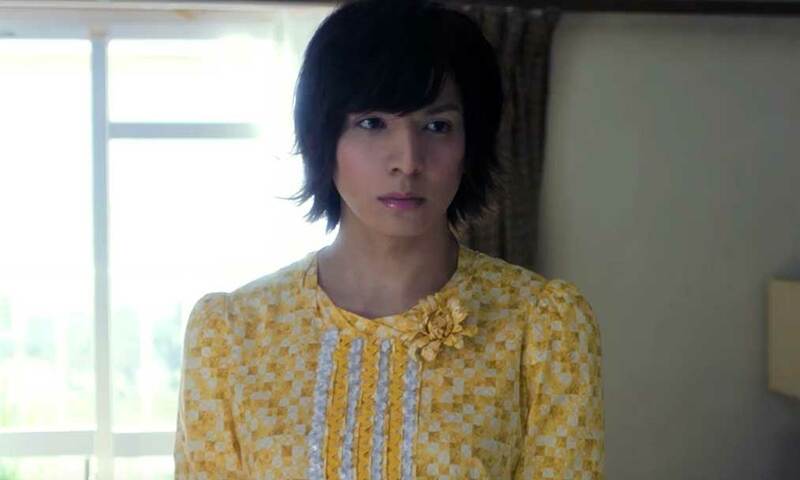 When Tomo arrives she is introduced to Rinko, born male, who is transitioning to be a woman. Maki and Rinko have a loving relationship and become surrogate parents to Tomo. A sub-plot involves Tomo’s classmate, named Kai, who is dealing with his own gender identity and homosexuality. Written and directed by Naoko Ogigami, who wanted to confront the issues of LGBTQ communities in Japan, “Close-knit” positions itself firmly in the category of mild family drama. While it confronts the themes of bullying, homophobia and conservative attitudes, it never attempts to shock its audience. Instead the tone is upbeat, calm, friendly, and respectful. Rinko is shown to be a kind-hearted woman and there are very few moments of threat, that can occasionally lead to one wondering what the purpose of the film is. It seems intended to show the normality of transgender people and homosexuality, though for many viewers this will perhaps seem unnecessary. The more engaging story seems to be that of Kai, who suffers bullying and feelings of isolation and depression. However, to criticise the film for being too mild, or not going out of its way to shock, may be to miss the point. Creating such a drama centred on a transgender woman in itself is a brave act and before long the gentleness and charm of the film has eased the audience into acceptance in a way that perhaps a more hard-hitting drama would not. Ogigami’s skilful direction makes the film a delight to watch, with exceptional framing and attention to minutiae that bring out the emotional content of scenes. I especially liked the mirrored shots at the beginning and end of the film that show the transition or growth of a particular character. An interesting film that deals with themes of family, gender identity and sexuality. “Close-knit” is a charming family drama with a twist. It confronts its subject in a refreshingly frank and honest way without resorting to sensationalism or crude jokes. It might be accused of not confronting the genuine difficulties of reactionary conservative views on this issue, but this is just not that kind of film.